If you work in an association or other nonprofit organization, it’s risky to think of recruiting as an HR function. It’s not. By telling HR to “Post a job ad, get some resumes, and then I’ll starting interviewing,” you are making a career-limiting mistake, one that puts your personal reputation at risk. In two decades of work with thousands of association leaders, we now know that recruiting, performance management, employee retention, employer reputation, and board relationships can no longer be handled as separate issues. Treating each component separately ignores how inextricably intertwined they have become. But before looking at what changed, consider what has not changed about recruiting (yet). 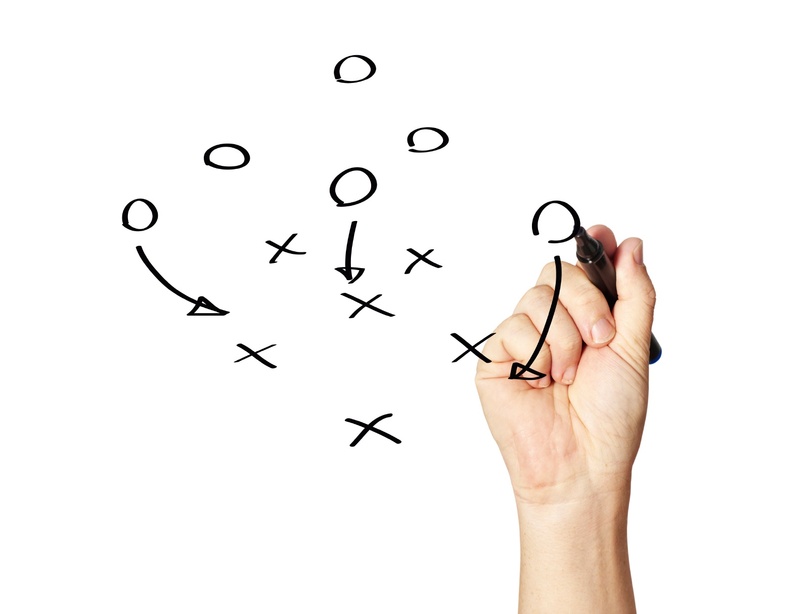 Recruiting has always been integrally tied to performance management and retention. That has not changed. During the recruiting process, smart employers set performance management expectations, and rigorously evaluate whether each candidate can deliver those results. With the expectations set, a new hire either meets those expectations…or doesn’t. If a performance problem emerges once someone is hired, sometimes the manager will address this performance issue courageously – coaching the person to improve. Sometimes a manager will just let low performance slide, resulting in some mutual irritation between manager and new hire. Sometimes the manager fires the poor performer, and sometimes the work relationship becomes uncomfortable enough that the new hire quits. 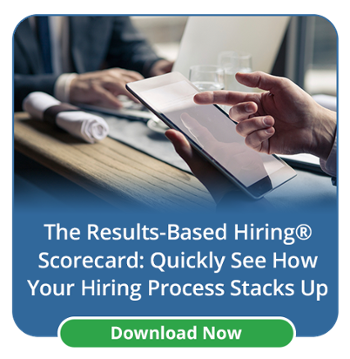 But no matter the outcome, your recruiting process directly ties into your performance management process. And both processes become key factors in employee retention. Great recruiting primarily impacts the frequency of performance issues and the speed in which they are handled. Not only did it make performance problems less frequent, but with more trust in the recruiting process, managers are more courageous in addressing performance issues. (If you have confidence in your recruiting process’s ability to replace a poor performer, you’re more likely to be aggressive with performance expectations – not only to give the underperforming hire a chance to succeed, but also aggressive enough to push them out when necessary.) Counterintuitively, this willingness to let people go when necessary actually improves your retention rate – you hold onto fewer underperformers, thereby improving the quality of your team, thereby leading to more people wanting to stay around. OK, so that’s how great recruiting has always been a driver for performance management and employee retention. Historically, these factors are considered part of the overall HR function. The advent of employer reputation sites like Glassdoor has added an entirely new dimension to the recruiting function, far outside the scope of HR: personal risk to your executive career and board relationships. Your recruiting process is now a prime driver of your organizational reputation. For executives, it also has the potential to significantly impact your relationship with the board. That’s new, and it does not fit neatly into HR’s scope. When your reputation as an employer is made public, your perceived management failures are also public. A significant component of Glassdoor reviews is the anonymous employee’s opinion of both the board and of management. And the reviews can be both biting and personal. This affects your ability to achieve your mission. Your reputation has always affected your ability to hire, but smaller organizations usually only had a handful of external people who were aware of what was happening internally. Now with comments out in public, all that formerly private information is available to anyone with an internet connection. But where does public reputation intersect with recruiting, performance management, and retention? Grumpy people who don’t work out give you a bad reputation on Glassdoor. Happy people who succeed and thrive enhance your reputation on Glassdoor (if they post something). Your reputation comes from the ratio of grumpy commenters to happy commenters. Larger organizations often have higher Glassdoor scores simply because more people have the opportunity to comment. Smaller organizations are more susceptible to lower scores, simply because disgruntled people are more motivated to comment. Is that unfair? Sure it is, but it cannot be ignored. Glassdoor comments are visible to your board. If you are hiring poorly, or if your performance management approach is subpar, you will tend to have a bad reputation – one that will consistently disappoint new employees. It does not matter whether you are a large or small association. Plus, once you have a bad reputation, it will not only affect your ability to hire new top performers, it also will affect your career. Glassdoor puts management in the hot seat. Your management struggles are more publicly visible. This can create a downward spiral of increased negative attention from the board, more difficultly hiring top performers, lower morale and a lower capacity to meet your strategic goals. The key to enhancing your personal reputation and your relationship with your board is to improve your reputation as an employer. And the best way to achieve this is to create fewer grumpy people in your recruiting process. Yet typical hiring practices still don’t pay any attention to this. Old School: When someone asks first about the factors you see on a resume, that’s the old way of recruiting. If they first ask about number of years of experience, or what kind of degree, or what kind of job title, or the kinds of employers you want to see people come from, or the salary you want to pay, or the benefits, that’s heading down the wrong path. (Those factors are helpful and should not be ignored. But they should be asked at the end of the recruiting intake process.) The risk in this typical, old-school way of hiring is that it pays no attention to the candidate experience and why someone would realistically want the job. The key to great hiring and achieving your goals is to consider who would find your open job to be attractive. Great recruiters work very hard to avoid hiring someone who might fail in the job, or who simply might be disappointed. Research shows that almost every employee starts a new job with high hopes, but that within 6 months, more than 90% are disappointed. * Successful management of your reputation as an employer means taking that risk seriously. It means setting expectations carefully, and finding the kind of person who will enjoy the everyday reality of the job. Recruiting, performance management, employee retention, employer reputation, and board relationships should no longer be handled as separate issues. Your public reputation as a manager, the ability to meet your performance targets, and ultimately your relationship with the board all stem from hiring people who fit in and get results in your environment.